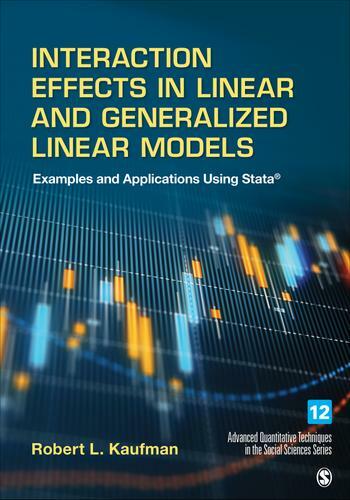 Offering a clear set of workable examples with data and explanations, Interaction Effects in Linear and Generalized Linear Models is a comprehensive and accessible text that provides a unified approach to interpreting interaction effects. The book develops the statistical basis for the general principles of interpretive tools and applies them to a variety of examples, introduces the ICALC Toolkit for Stata (downloadable from the Robert L. Kaufman’s website), and offers a series of start-to-finish application examples to show students how to interpret interaction effects for a variety of different techniques of analysis, beginning with OLS regression. The data sets and the Stata code to reproduce the results of the application examples are available online.